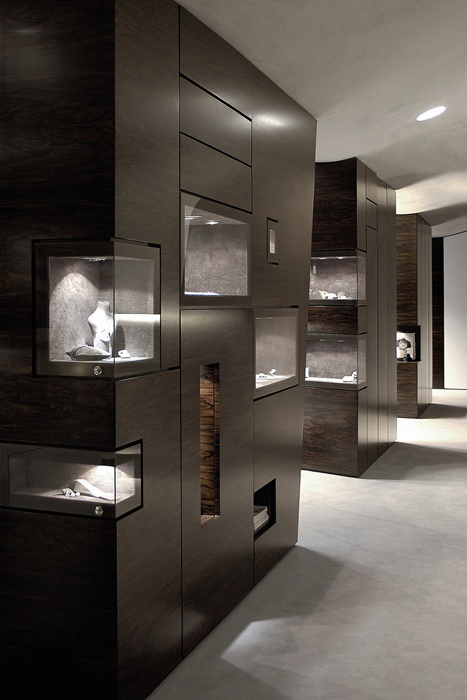 Interesting interior designed by xarchitekten from Austria, they create a shop for jewelry shop that simulate the feeling of exploring the treasure chests. 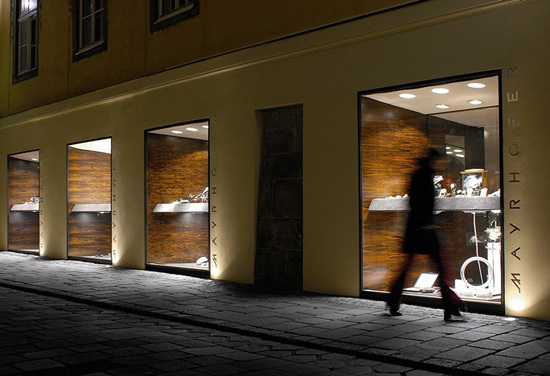 The most interesting trends in the design of shops are concerned with the coherence of the products and their environment – thus the space in which they are presented. 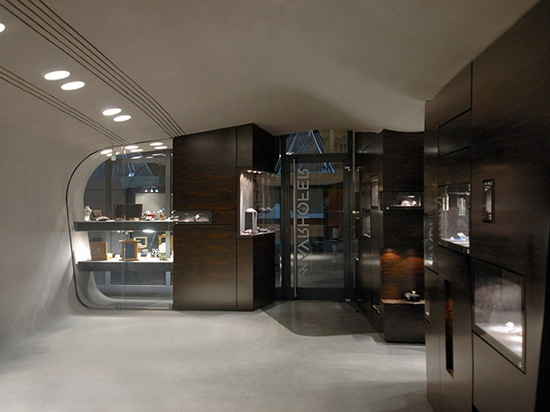 Furthermore do we understand shop design as a part of corporate identity, as an instrument of communication for contents and aims. The concept bases on the intention to define space as a sensually perceptive phenomenon and connect it closely to the jewellers manifacts.